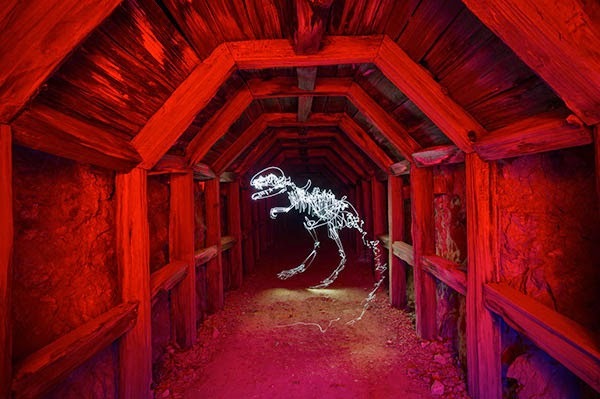 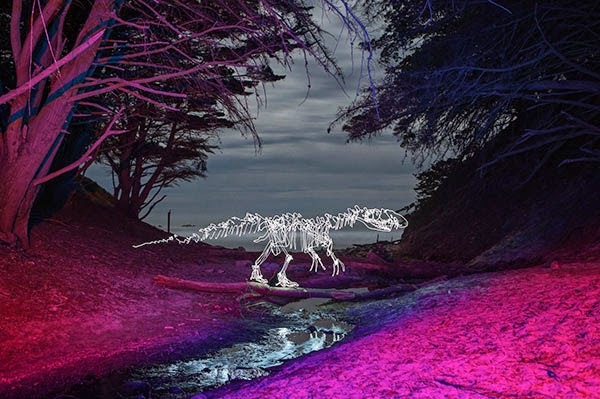 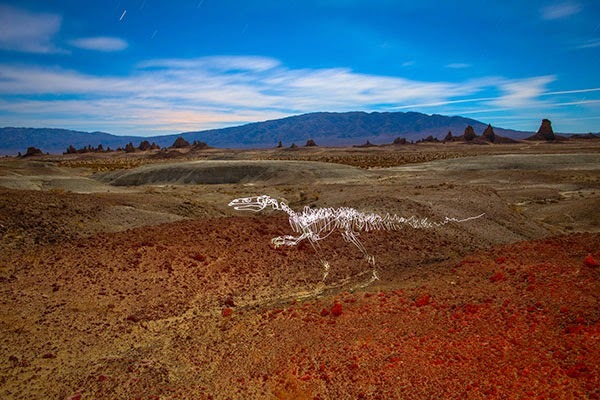 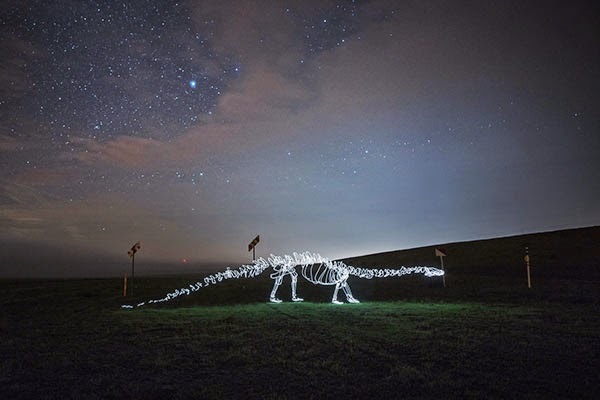 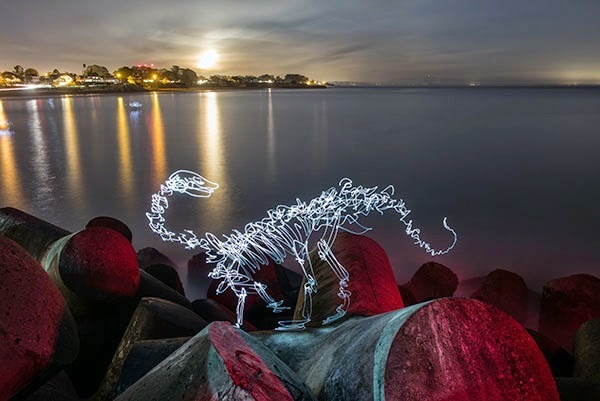 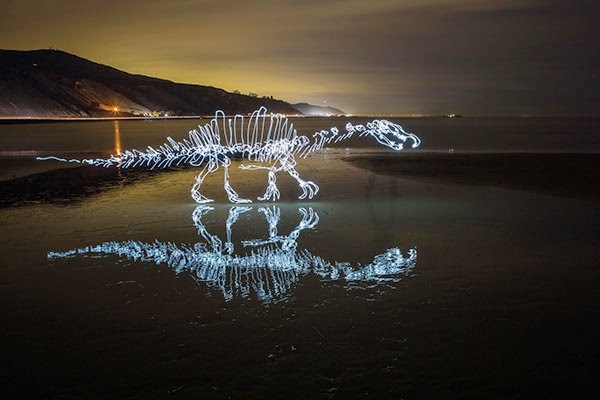 Light paintings of dinosaurs and prehistoric mammals. 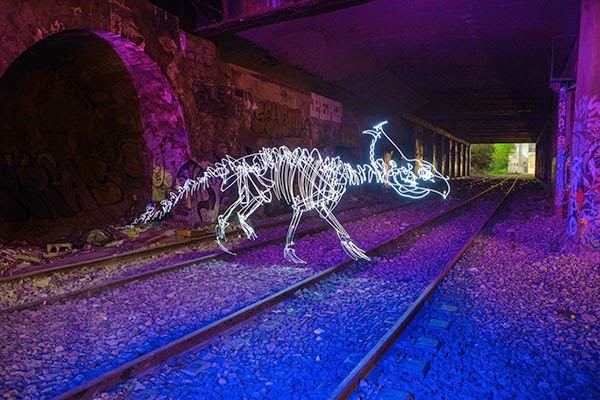 To create these images, Darren takes a long exposure photo of between two and seven minutes and while the shutter is open, he jumps in front of the camera and starts painting using a flashlight or a pen-like object with an LED. 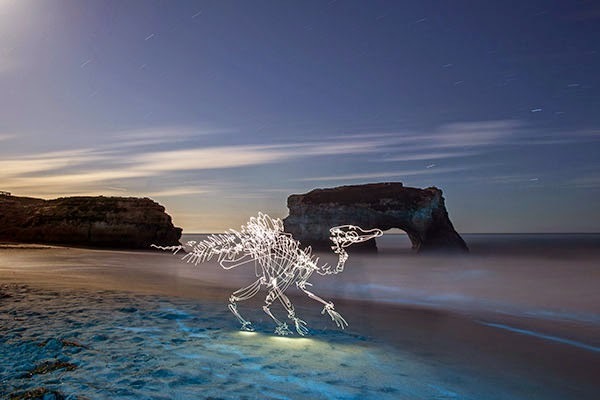 My interest in light painting really started a couple years back when I saw the famous Picasso Draws a Centaur photo where he’s light painting. 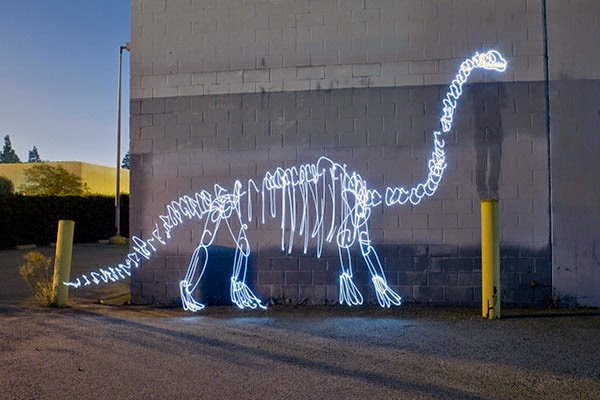 The second I realized that you can draw within a photograph, that’s what turned the light on for me. 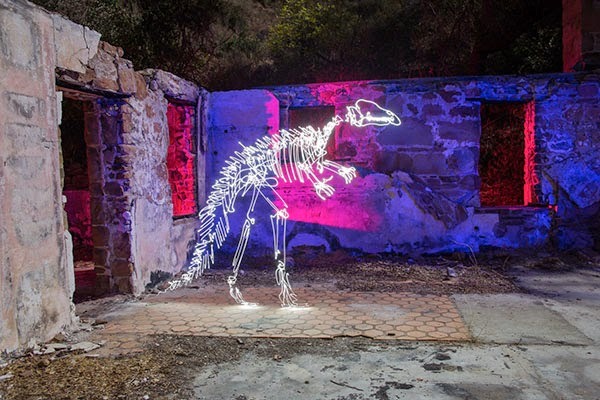 Darren Pearson is a resident of Los Angeles, where he works as Creative Director for Danger.